Put futurist writer H.G. Wells, powerful producer Alexander Korda and famed production designer William Cameron Menzies (here directing) together and one gets Things to Come (1936), more of a curiosity than an actual film. Ostensibly a science fiction movie based on Wells' work, it plays more like some bizarre propaganda urging England to avoid getting too embroiled in the coming war. As such, it seems to champion communism over nationalism with a gangly, white-haired Raymond Massey representing the former and a ferocious, pug-like Ralph Richardson representing the latter. There are three distinct acts. The first is a "March to War" which is heaviest with agitprop, images of the common people of Everytown being mowed down by vicious attacks from a well-armed faceless army. The second boils down to a conflict pitting Massey's intellectual John Cabal (surprisingly dashing in a black leather flight-suit with an oversized bubble helmet) against Richardson's opportunistic survivalist known as the Boss. 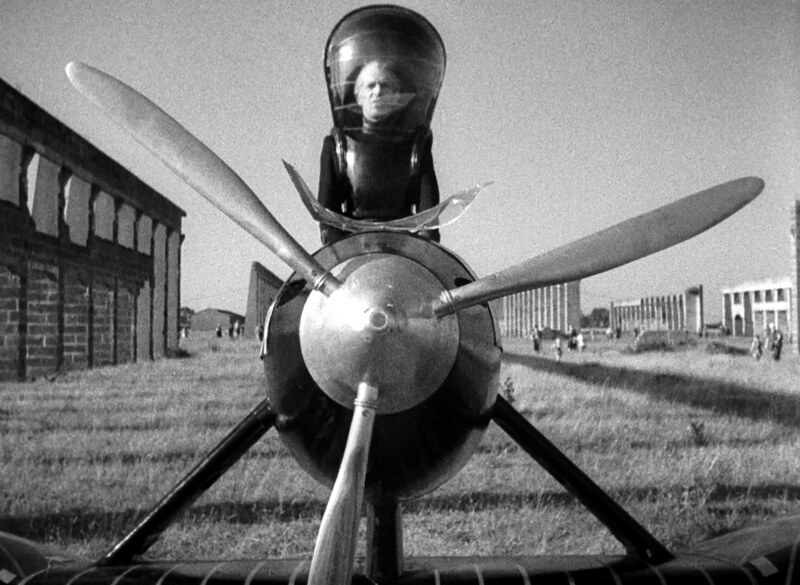 In the final act Massey plays a descendant of Cabal, Oswald, a functionary in a retro-futuristic Art Deco world where selfish individualism seems to be rearing its head again in the form of Cedric Hardwicke. This bureaucratic Cabal promotes self-sacrifice (in the form of his daughter volunteering for a dangerous space mission) in the name of sustaining the progressive society he serves. Massey, Richardson and Hardwicke manage to elevate the dialogue a cut above the proselytizing Wells and company seems to be aiming for. But the real reason to watch Things to Come is for Menzies' production design, the influence of which can be felt in later movies like THX-1138, Logan's Run, the Star Trek films and countless others. If any scene could sum up The Ice Storm (1997) it is one in which Jamey Sheridan's Jim Carver arrives home, declares he's back from a business trip, only to have his son respond, "You were gone?" Even before Crouching Tiger, Hidden Dragon, it was Ang Lee's adaptation of Rick Moody's novel that cemented his place in the pantheon of great directors. 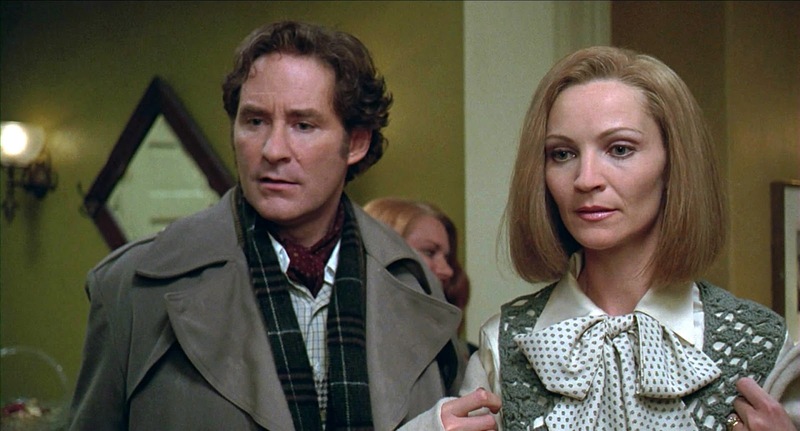 Alternately funny and bleak, The Ice Storm tracks the family dynamics and sexual dysfunction of the Hoods (Kevin Kline, Joan Allen, Tobey Maguire and Christina Ricci) and their neighbors the Carvers (Sigourney Weaver, Sheridan, Elijah Wood and Adam Hann-Byrd) in the Watergate era. The "strait-laced" parents abandon good judgment in order to indulge in Me Generation sexual experimentation while their precocious and curious kids take a stab at adult role-playing to cope. In truth, everyone is lost except for maybe Mikey Carver (Wood) an innocent dreamer who falls through the cracks created by the tumult of the times. It all culminates in a crisp, icy Thanksgiving night when the Hood and Carver parents end up at a humiliating key party (a wife-swapping swingers' get-together) while, elsewhere, Mikey tragically dies. The Ice Storm's final scene, in which the Hoods quietly reunite in the wake of the tragedy, is bracingly devastating albeit cathartic in its delivery of the simple relief the family feels that they have turned a corner the Carvers never can. 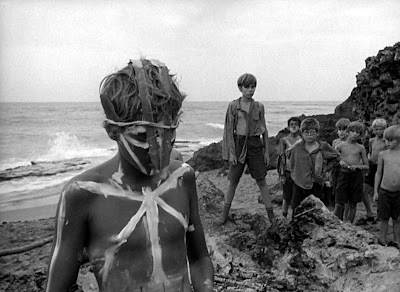 Sporting a new, restored 4K digital transfer, Lord of the Flies (1963) is the second Criterion reissue this month. It depicts the slow breakdown of civilized behavior among a group of boarding school boys stranded on a desert island after a plane crash. With no adult supervision, a rift forms between the older, stronger choristers led by Jack (Tom Chapin) and the younger, smaller kids led by Ralph (James Aubrey). One bone of contention is Piggy (Hugh Edwards), an asthmatic, bespectacled weakling. Though never explicitly declared (or consciously thought of, perhaps), Jack is fine steamrolling Piggy because of his belief in natural selection. Ralph, on the other hand, values his wise counsel. Things get really hairy when Jack's group gives in to savage tendencies, paganistic face-painting and fear-mongering to get their way as Ralph tries to maintain some semblance of order while their chances of being rescued grow increasingly remote. A mythical "beast" is used as a bogeyman to manipulate this micro-society, an allegory which would not only influence future re-imaginings like TV's Lost and its smoke monster but one which can be applied to events affecting our own post-9/11 security state. 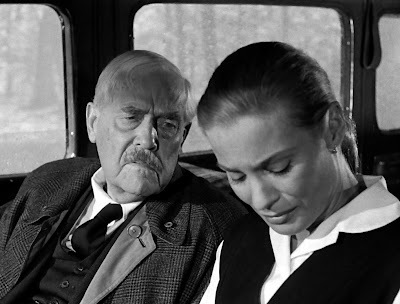 Lastly, Ingmar Bergman's Wild Strawberries (Smultronstället) (1957) gets an overdue, newly restored 2K upgrade. Featuring four actors from Bergman's repertory—Ingrid Thulin, Bibi Andersson, Gunnar Björnstrand and Max von Sydow in a cameo—it's a dense, introspective look at an aging professor (The Phantom Carriage director Victor Sjöström) on the way to a valedictory appearance to receive a lifetime achievement award. 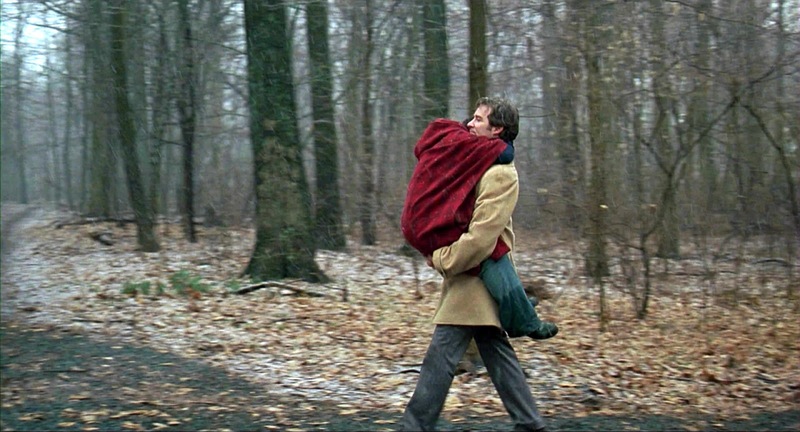 The long road trip he takes with his daughter-in-law (Thulin) is cause for reflection and a chance for the master filmmaker to demonstrate cinema's ability to get into a character's head in a way the theater rarely can. Bergman also uses the opportunity to pay tribute to two men: his stern father—on which he based the character of the professor—and Sjöström himself, a veteran actor and filmmaking mentor who influenced all of Swedish cinema.